Arrange chicken breasts in a 9×13 baking dish. Mix all ingredients together and pour over chicken. Cover with foil and bake at 350 degrees for 30 minutes. Remove foil and bake for 15 minutes more. Arrange chicken breasts in a 9x13 baking dish. Mix all ingredients together and pour over chicken. Remove foil and bake for 15 minutes more. 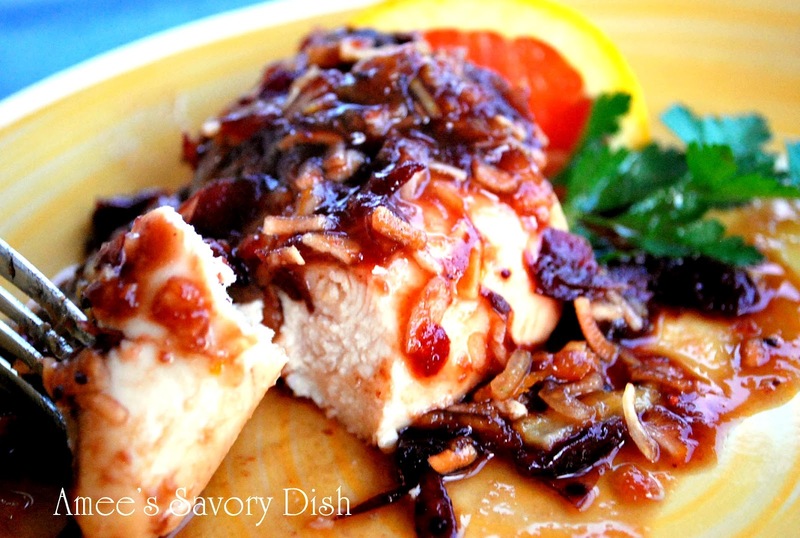 This cranberry orange chicken is moist and delicious! I had to share this for my meat eater readers! Easy too! Thanks for the recipe! Here’s to many more fabulous projects in 2013!